Our 2017 Road Trip, Part 9: The Washington Monument, Mark I « Midlife Crisis Crossover! 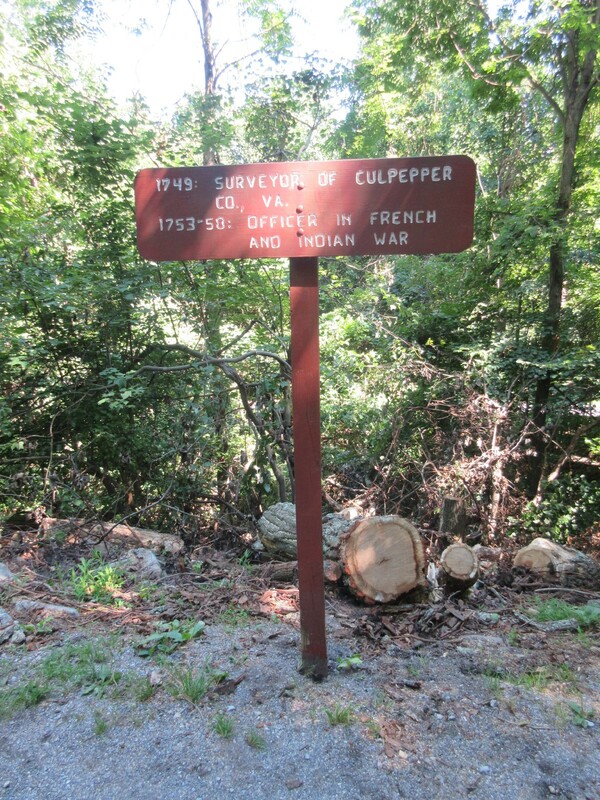 Ten miles east of Antietam is Boonsboro, a town at the foot of South Mountain. 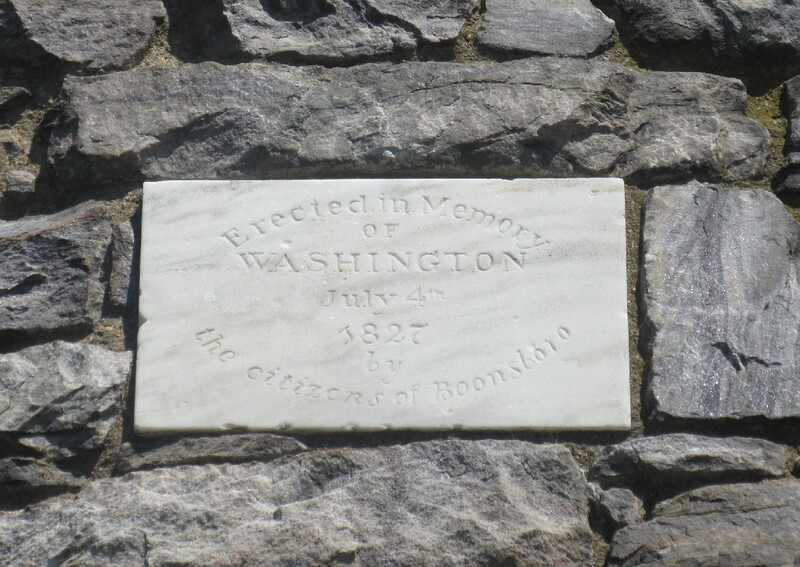 We followed the highway to the other side of Boonsboro and onto an obscured, steep, mostly one-lane back road, through cramped neighborhoods and shrouds of trees, up the mountainside and to the entrance of Washington Monument State Park, whose admission gate is an honor-system cash box. Its mostly shady acreage is a combination of short trails and basic playgrounds, with the longest path spiraling further uphill to the local centerpiece at an elevation of 1,540 feet. 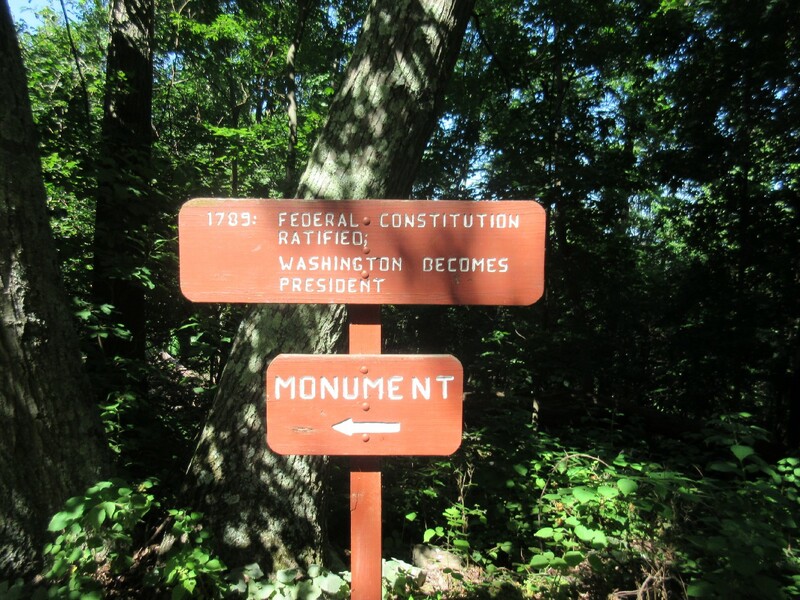 Along the way, signposts count off your walk and the milestones in President George Washington’s life at the same time. Right around this sign is when I had to sit down for a few minutes and remove another dozen Antietam field thistles from my socks and shoes before I could go on with a bit less pain to dog me. I’m pretty sure the nasty things were breeding. If you’ve ever had friends who bragged about their manly exploits on the Appalachian Trail, communing with nature and other guys from their church while they walk dozens of miles over the course of a week, the Trail has an easy access point right about here for losers like me who will never, ever join them. 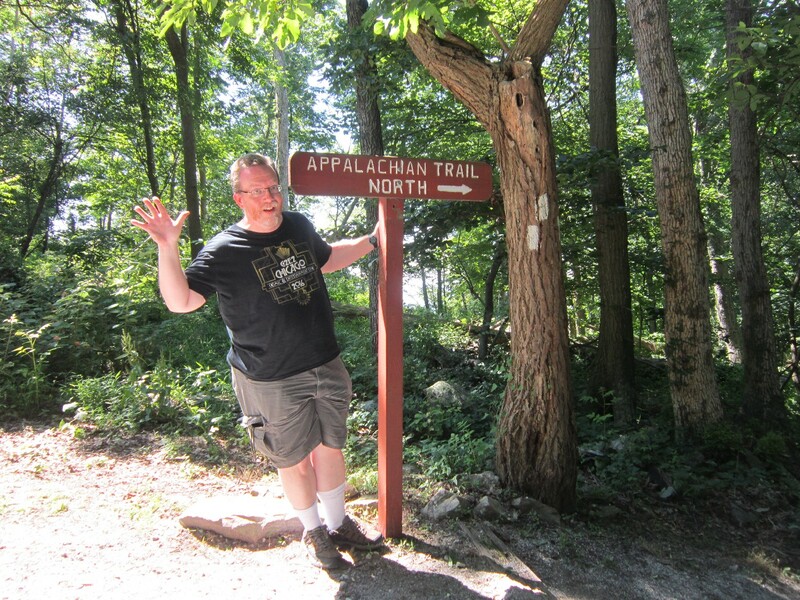 That’s right, folks — hiking the Appalachian Trail is just that easy! 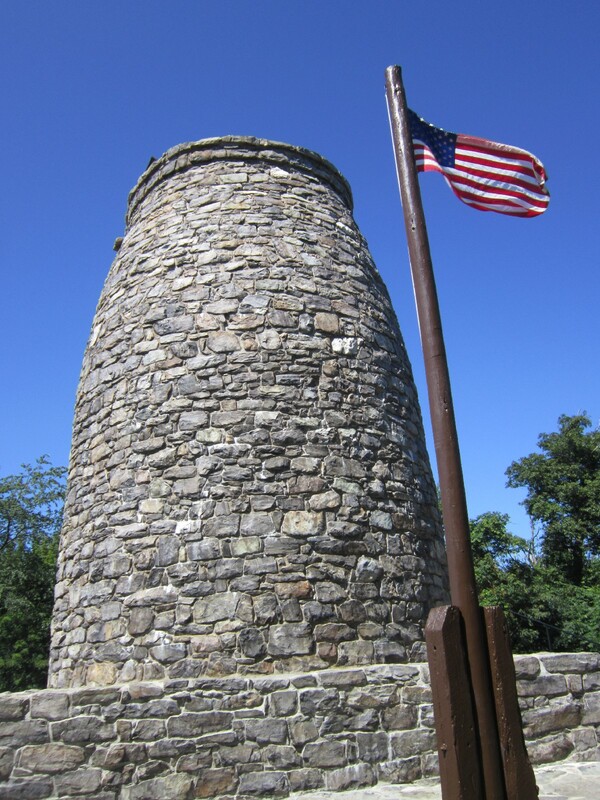 At the top of Monument Knob, there it stands: an 1827 salute to the first President of the United States of America and a significant contributor to the Revolutionary War, one of the many Founding Fathers who made this “America” experiment a viable entity in its own right, long-term flaws notwithstanding. 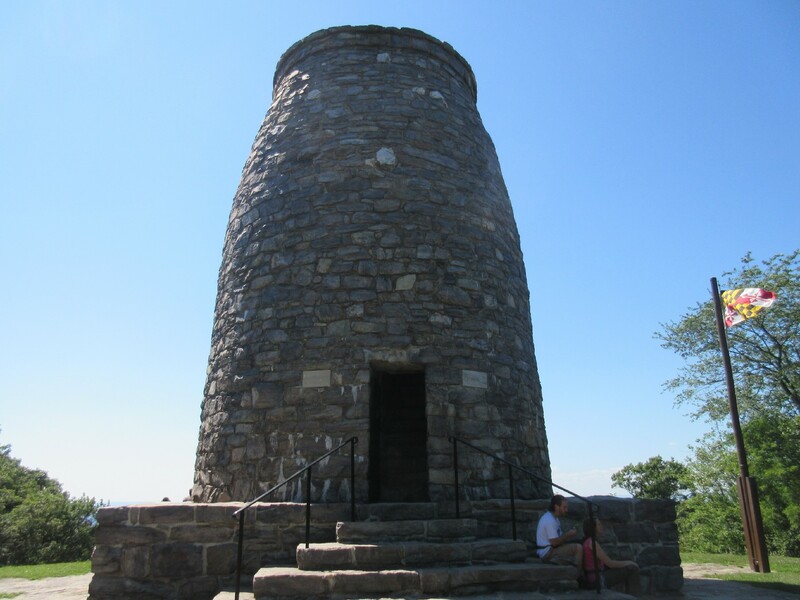 The Union Army used this 40-foot tower as a signal station during the Civil War, and it’s been on the National Register of Historic Places since 1972. Cons: it’s not easy to drive to; it resembles part of a castle run by a king, which seems contra America; and it’s never been used to stage an action scene in a Spider-Man film. This Washington Monument is shorter but higher up, with rounder stones laid one on one rather than sculpted uniformly from marble or granite. The apex is a flat deck instead of a tiny pyramid. There’s only one flag on the outside, not a entire perimeter of them around. There’s no gift shop inside, no souvenirs angling for your money. But the original and ongoing intent is heartfelt and its presence has been appreciated and maintained over the centuries and across generations. This identifying tablet was part of a later restoration dating back to a 1936 re-dedication. The spot is highly recommendable with or without the monument. 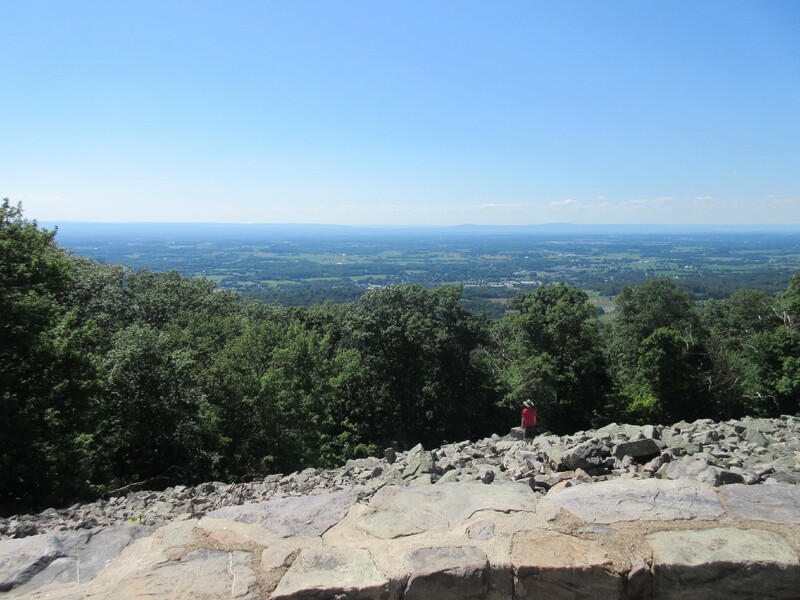 As you might imagine, the view of Maryland from a mountainside, at least on the side away from the forest, is glorious. Climbing down the rocks wasn’t exactly encouraged, but there was no sign specifically decreeing “NO ROCK CLIMBING”. 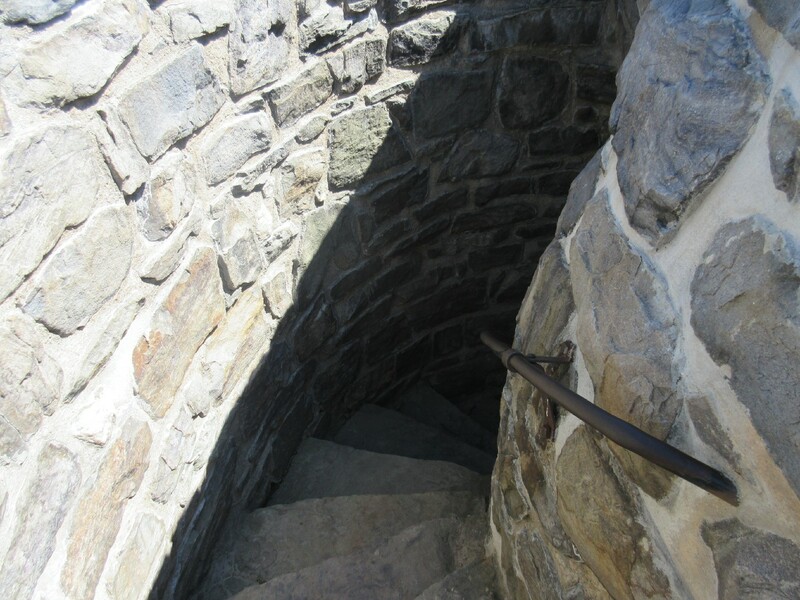 Visitors are allowed inside, but there’s nothing to do except step up the spiral staircase to the top. Anne had had her fill of climbing for the day and opted out, leaving me to venture upward alone. No interior lighting, no big scenic windows, no room to bypass walkers going the other direction, and no soft places to land if you trip. It’s just as well that Anne had stayed at ground level. The roof is small and cozy and forces tourists to share very little square footage. With that extra 40-foot boost, you can see better over the tree line and occasionally glimpse a bird of prey flitting around in search of prey. Eagles, vultures, and ospreys are among the local residents sharing the airspace. Let’s all pretend that dot in the distance is an awe-striking bald eagle and not a turkey vulture gliding around with spare bits o’ possum. Fortunately climbing downward comes much more naturally to me than uphill struggles. The descents of both the Monument and the hillside back to the car let gravity do most of the work for me, leaving a decent amount of energy to drive us the rest of the way east toward Baltimore. Mind you, that last leg would follow one nerve-wracking, near-Hitchcockian moment trying to cross a 1½-lane bridge the same time as a flatbed truck coming the opposite direction. And it would come after just a little more tourism. 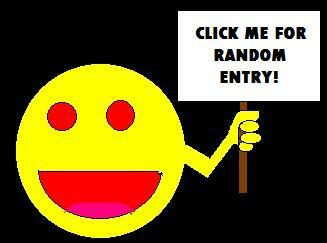 We had three more possible stops on our brainstorming list, but time to accommodate just one comfortably.